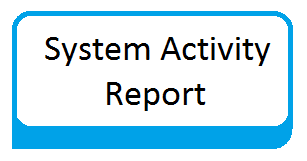 System Activity Reporter (SAR) is an important tool that helps system administrator to get a review of the server machine with status of different critical metrics at different points of time. Using sar you can monitor performance of different Linux subsystems (CPU, Memory, I/O..) in real time. The sar command extracts and write to standard output records previously saved in a file. This article explains how to install and configure sysstat package. You can easily install it in your system through YUM. Use following command to install SAR. So the first cron entry will run every 10 minutes which will call the sadc utility and collect system stats and store it in a binary file. And the second cron entry will dump all the contents of that binary file into another text file. By default 7 days statistics, So you can modify that HISTORY entry easily by editing the file. By default all the statistics will save /var/log/sa location.